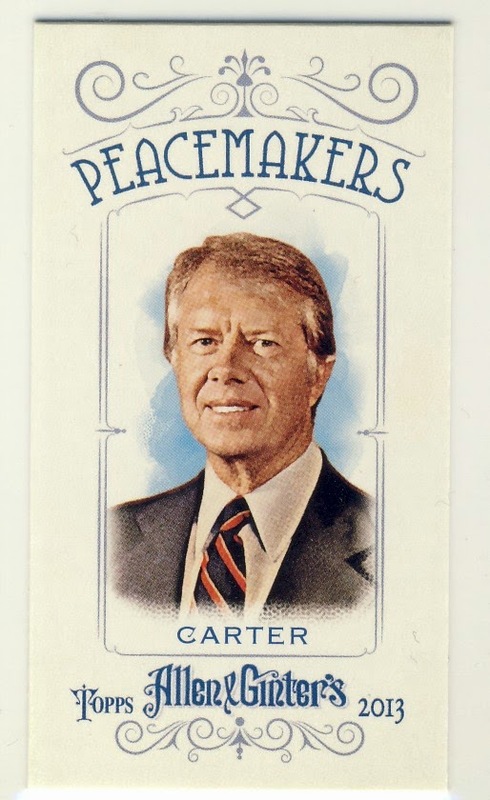 I'm a sucker for political cards and minis, so when I come upon a Jimmy Carter mini that card is going to be mine. 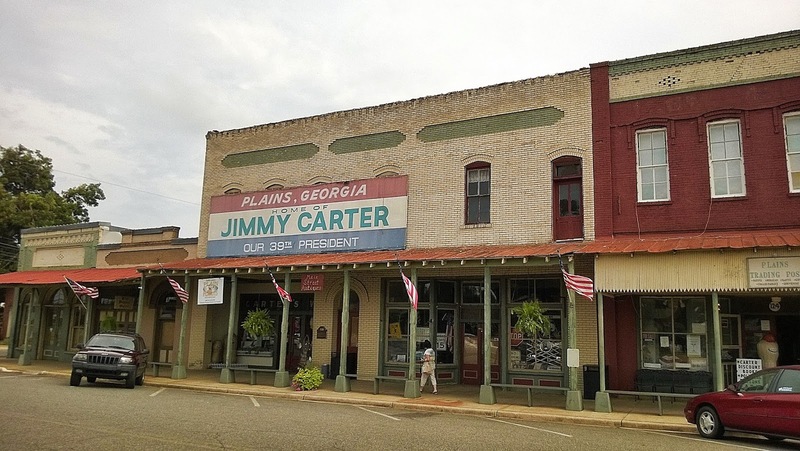 I chose President Carter to highlight today as my new home in Georgia allows me easy access to Carter's home in Plains. Plains is a tiny little town of 750 people and its Main Street is little more than two city blocks and they are clearly still proud of their favorite son. 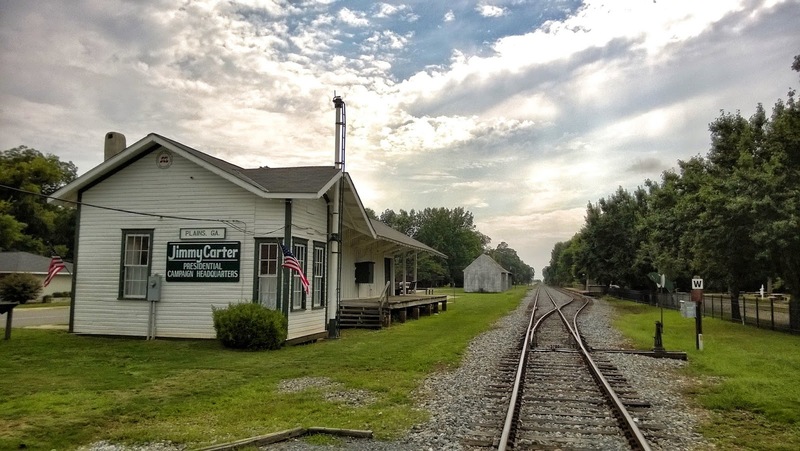 During the 1976 election the towns depot became Carter's Presidential Headquarters and it is still preserved the way it was during that election. 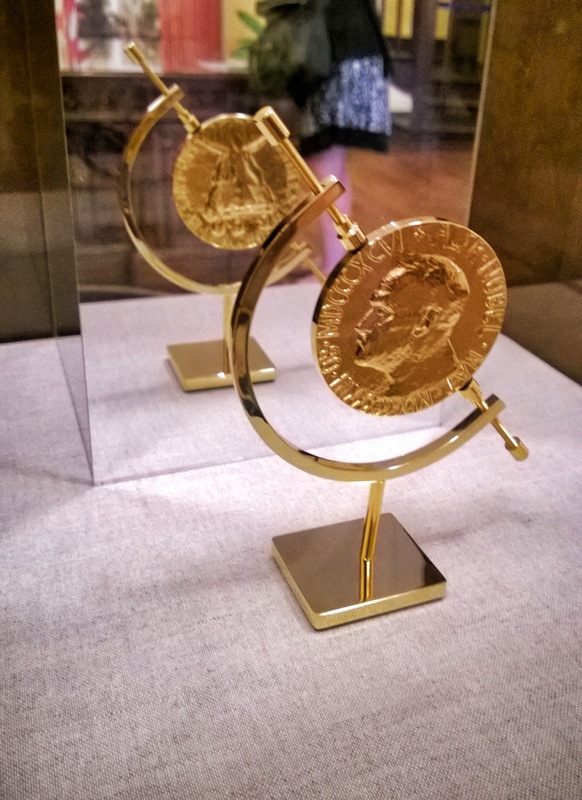 At Carter's former high school you can see Jimmy's Nobel Peace Prize that he was awarded in 2002. 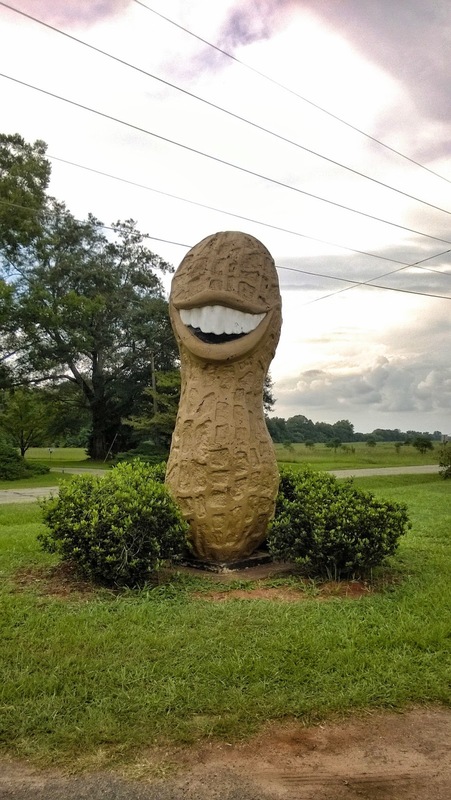 This unofficial tribute to Jimmy was in front of a local gas station. One of the shops on Plains' Main Street sells antiques and political buttons [many of them being of their own creations] and their large collection makes me want to visit Plains again with a little more time to go through their pins. 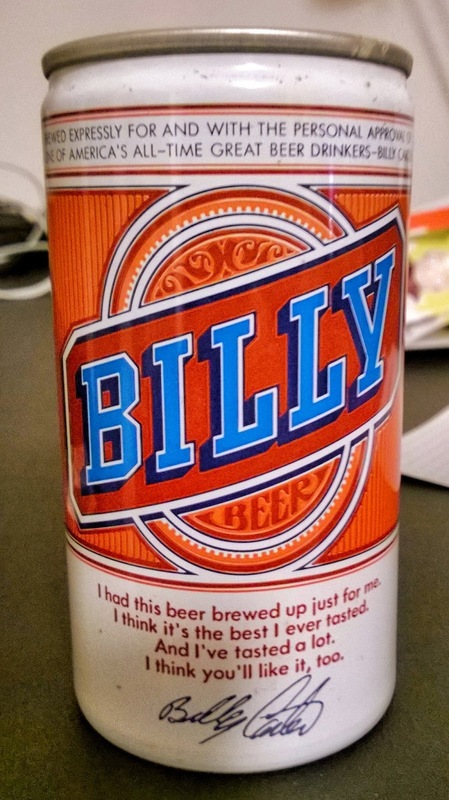 I did pick up a can of Billy Beer inspired by Jimmy's brother Billy Carter...It's a sealed empty can so I have my doubts about it's authenticity but it's a fun reminder of my visit to Plains. 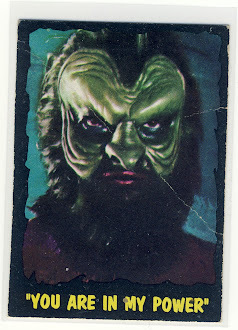 Two pieces I'm pretty sure are original were a couple of Carter pins. 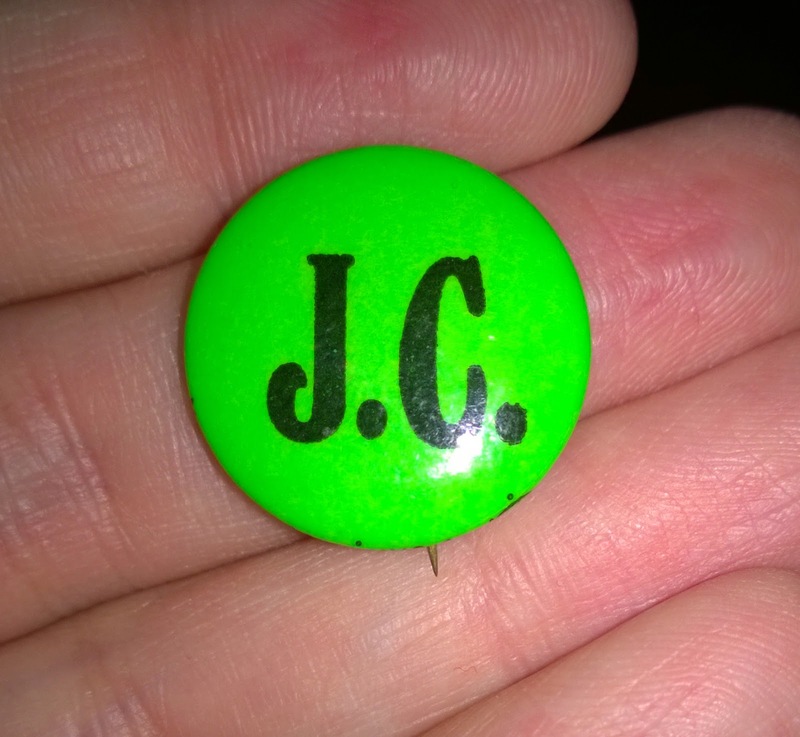 First we have a "J.C." pin...you can come to your own conclusions you are supposed to draw from it. 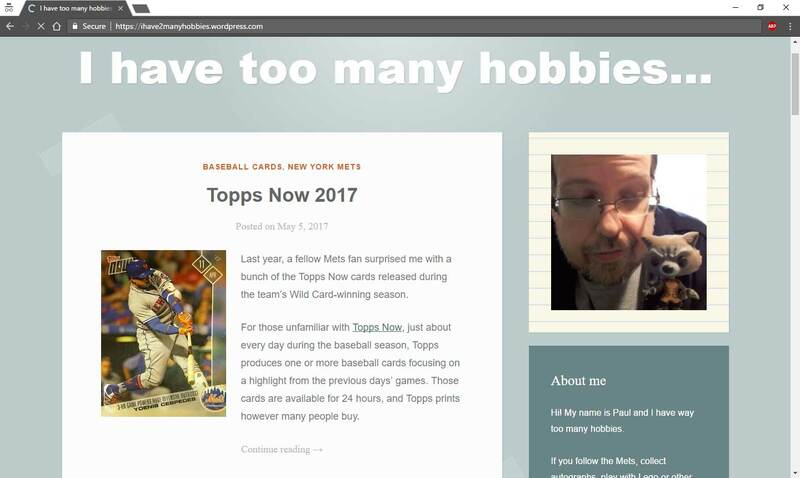 I always enjoy the political pins that are produced by specific groups or organizations. 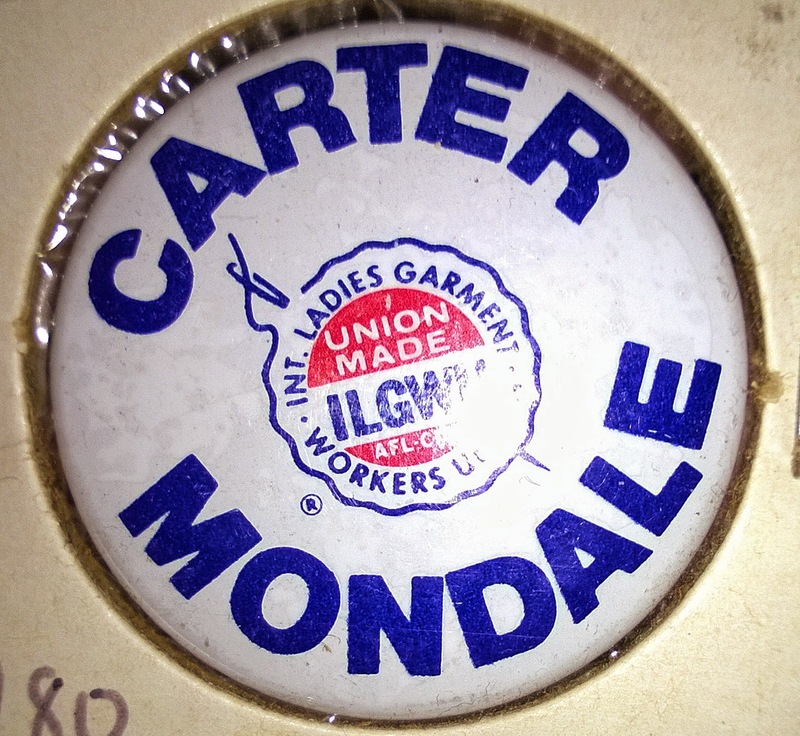 Here we have the International Ladies Garment Worker's Union who supported Carter/Mondale in 1980. 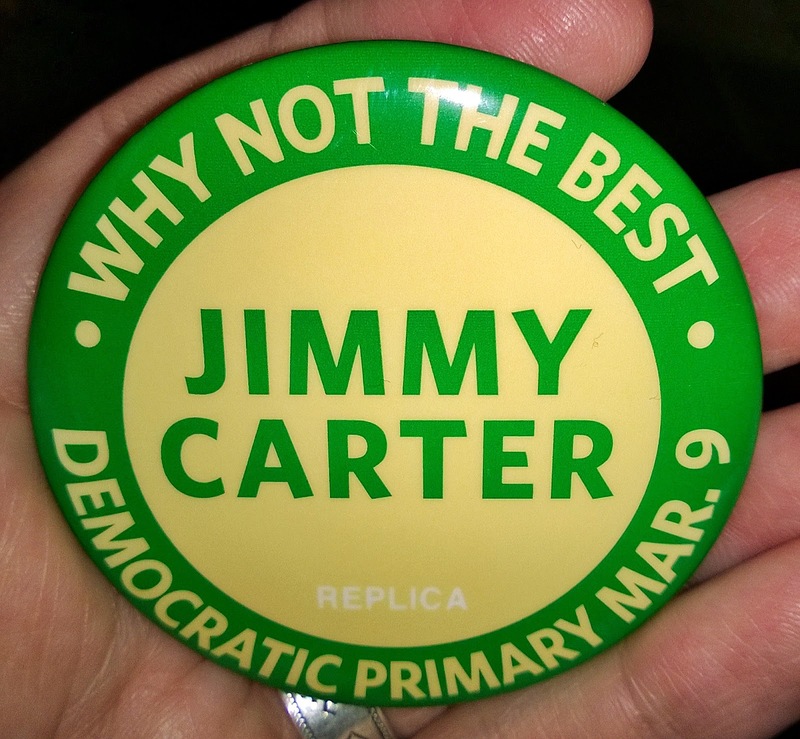 This last one is a replica of probably the most famous Carter pin with "why not the best" across the top. It is in reference to the title of Carter's book written on why he should be President.